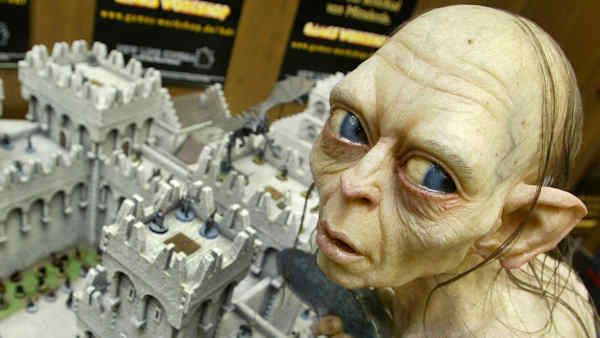 ANKARA, Turkey -- A Turkish court overseeing the case of a doctor accused of insulting President Recep Tayyip Erdogan has ruled that a committee of experts should assess whether the fictional Lord of the Rings character Gollum is good or bad. Bilgin Ciftci faces up to two years in prison for allegedly insulting a state official by juxtaposing pictures of Gollum and Erdogan on social media. Lawyer Hicran Danisman told the AP Wednesday that she was forced to argue in court this week that "Gollum is not a bad character" because she got "nowhere" with a defense case based on freedom of expression. Danisman said that prompted the judge to rule that a committee, including psychologists and movie experts, should provide an assessment of Gollum's character.